FORT MYERS, Fla. (June 1, 2015) – Attorney and Mediator Keith Grossman, founder and managing partner of Grossman Law & Conflict Management, will be a featured speaker at the June “Get Connected!” luncheon meeting of the Greater Fort Myers Chamber of Commerce. The popular program returns on Thursday, June 18 from 11:30 a.m. to 1:15 p.m. at the Pelican Preserve Golf Club in Fort Myers. Grossman will be part of a group of professionals speaking on one of sixteen different topics related to sales. He’ll bring his negotiating expertise to the table at the luncheon meeting. Attendees will have the chance to sit with Grossman to discuss how negotiating can help their business thrive. Grossman will identify the elements of a successful negotiation, in which all participants communicate their wants and needs and feel they each gained something in the process. Grossman said, “Knowing how to negotiate is a key component to operating a successful business. With this discussion, I hope to make that part much easier and more effective for business owners.” For information about booking Keith Grossman to speak at your conference, leadership development meeting, retreat or classroom, or to schedule a consultation, call (239) 210-7516 or toll-free (877) 687-1392. Each month the Greater Fort Myers Chamber of Commerce holds luncheon meetings at member restaurants. These meetings give businesses a chance to meet and greet their fellow Southwest Florida business associates. Every month a feature speaker(s) will share information that is relevant to the Lee County business community. Members can attend the meetings for $25.00 and general admission is $35.00. To register for a meeting go to: www.fortmyers.org or call Nicole Stefanick at (239) 332-2930 ext. 211. Attorney Keith Grossman of Grossman Law & Conflict Management has over 20 years of experience in and out of the courtroom and focuses his practice on family law, conflict management, and workplace conflict. 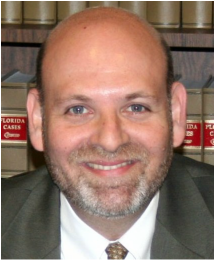 Grossman is a Family Mediator and Civil Mediator certified by the Florida Supreme Court, a Florida Supreme Court Qualified Arbitrator a former Family Law Case Manager for Court Administration, and Past President of the Lee County Bar Association. He also helped to establish and supervise the Lee County Family Case Management Program, a program designed to help families navigate the court system and reduce the conflict typically associated with the divorce process. In the area of employment law and mediation, Grossman’s services include human resources consulting, skills training workshops, facilitation for consensus building, and conflict management design and preventative practices. Grossman Law & Conflict Management is located at 7270 College Parkway, Suite 1, in Fort Myers. For more information about family law, employment law, and conflict management services, call (239) 210-7516 or 877-687-1392, email Keith@AttorneyGrossman.com or visit www.ResolvingConflictsNow.com; www.AttorneyGrossman.com; or KeithShares.com.